Nowadays, we hear a lot about gut health. Most of us do not take good enough care of it, creating a number of problems we do not even begin to suspect. Did you know gut health could be linked to better skin, healthier bones, and bad cholesterol regulation? Still, in today’s society, we mistreat our guts by eating highly processed foods and/or foods that are high in sugar, and only compensate with small amounts of fruits and vegetables. It’s no wonder digestion can be disturbed due to the lack of fiber and nutrients. As you’ll see when you read this article, prebiotic supplements can be a good way of re-balancing our gut health and improving overall health. But what exactly are prebiotics, why are they important and which one should you choose to buy? Let’s investigate. Did you know your gut is densely populated? Indeed, 39 trillion ‘good’ bacteria live there and contribute to the function and health of the gut. Their role is to help with digestion, create nutrients, and even protect us from certain diseases. In some cases, gut bacteria can also impact which parts of our DNA are activated or kept dormant. In order to thrive, those bacteria need to receive nutrient dense foods, as well as fibers. However, instead of this, what our modern diets tend to feed the bacteria is high amounts of sugars, chemicals and fats. What we may not realize is that by our unhealthy habits, we feed the bad guys and destroy our overall health. Feeding the bad bacteria can lead to a number of digestive problems including bloating, gas, and chronic inflammation. Beyond that, unhealthy diets have been linked to the rise of levels of bad cholesterol, weight gain, acne, hormone unbalance and even depression. At this point, I am sure you are starting to understand how important gut health is to our overall health and balance. A prebiotic such as Performance Lab Prebiotic – from our favorite supplement line – is a great way to help that process, and we are about to discover why. What Is a Prebiotic and How Can it Help? Prebiotics are often confused with probiotics. Although their names are very similar, they actually have different functions in the body. Probiotics are the good kind of bacteria living in your gut. In other words, probiotics directly bring the kind of bacteria you want to maintain in your gut inside your body. On the other hand, prebiotics are the food for these good bacteria. Without prebiotics, good gut bacteria cannot thrive and do their job properly. In other words, to maintain a healthy gut, you need both probiotics and prebiotics. Indeed, taking probiotics without feeding the bacteria properly can lead to certain conditions including constipation and leaky gut syndrome. So, where are prebiotics coming from? Prebiotics are a kind of non-digestible fiber, usually derived from plant-based foods. You need to be careful however, as while all prebiotics are fiber, not all fibers can be considered prebiotics. Maintaining a good gut health can have many positive effects on the overall health of a person. Digestion is improved, of course, and gas and bloating can disappear. Furthermore, we often hear that the gut is our second brain. Some strains of the good bacteria living in the gut have indeed been linked to mental health and improving gut health can thus contribute to reduced anxiety, stress and depression while improving memory. Ultimately, a healthy gut can also help with lowering blood pressure, boosting the immune system and helping with weight control. We are happy to recommend a great prebiotic supplement that fits the bill perfectly and is easy to use daily, and it is called Performance Lab Prebiotic. What can make us say that with such confidence? To know that, let’s take a closer look at what a good prebiotic should look like. A good prebiotic supplement should supply high quality food for the good bacteria living in our gut. They should be made of soluble, non-digestible fiber and… well that’s about it. Fillers and ingredients added to look pretty should be avoided. Performance Lab Prebiotic contains only inulin-FOS (FructoOligoSaccharides) extracted from chicory root. Those two types of fibers are prebiotic, soluble and non-digestible. We also believe a good prebiotic should come from non-GMO, organic sources. Why pretend to take care of your gut if you only feed it chemicals and genetically modified ingredients, especially when we don’t yet fully know what consequences GMO can have on our bodies? That’s why we like Performance Lab Prebiotic. It is 100% natural, including the capsules it uses for delivery, and is the cleanest product on the market right now. It’s non-GMO, free of synthetic additives, as well as being free of soy, allergens and gluten. It is also GMP-certified, ensuring it is made responsibly and safely, and is vegan friendly. In addition to being high quality and healthy, Performance Lab Prebiotic is suitable for all diets. 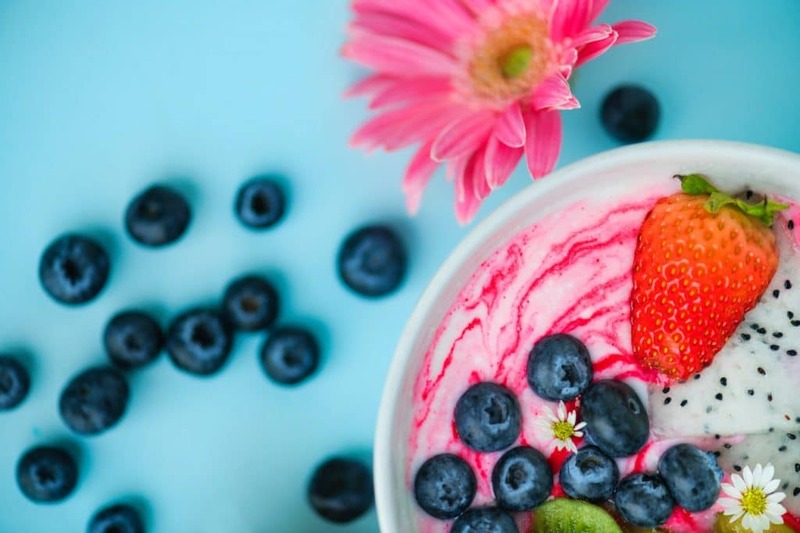 As well as aiding the digestion and supporting the immune system of the GI tract, soluble fiber such as Inulin-FOS could potentially support heart health by helping to maintain normal cholesterol levels. As the FDA says, this result occurs with approximately 7g of fiber a day, meaning the 1.7g in Performance Lab Prebiotic can contribute towards your overall total effectively. And here’s another bonus: it also promotes satiety and reduces food caloric density, meaning it can also potentially help you to lose weight by reducing food intake! Should you Stack Performance Lab Prebiotic with a Probiotic? It is often advised to stack a prebiotic with a probiotic. Indeed, if you take a supplement to feed the good bacteria living in your gut but you do not actually have any, what is the point? However, Performance Lab Prebiotic takes an innovative and radically different approach to many other prebiotics on the market, allowing it to be self-sufficient and efficient on its own. In most probiotic supplements, not all bacteria strains present in the formula are beneficial and useful for gut health. Some of them can even sometimes lead to bloating and constipation. Many probiotic supplements also introduce new strains of bacteria into the gut, some as many as ten or more in unnatural ratios that can cause discomfort. In addition, while many manufacturers advertise high numbers of live bacteria in their product, the manufacturing processes and storage conditions significantly reduce the number of bacteria actually reaching your gut in the end. As does your own stomach acid. For that reason, Performance Lab Prebiotic has chosen to take a different approach, focusing on feeding one of the most efficient bacteria strains present in the gut, the Bifidobacterium. By providing proper nutrition for the Bifidobacterium in particular, Performance Lab Prebiotic ensures their growth and development in the gut while eliminating the need to supplement with the strain itself from a pill. The specific fiber in this product also passes through stomach acid unharmed, ensuring the full amount reaches the colon. In our opinion, this is a great way of doing things as it promotes the development of bacteria which are optimal for your specific gut environment and thus leads to better tolerance and efficacy. In addition to taking Performance Lab Prebiotic, there are some things we can do daily to improve our gut health. Naturally, those actions are linked to the foods we eat, as some of them are richer in prebiotics than others. Fermented foods are a great source of probiotics, good bacteria. These foods include sauerkraut, kefir, yogurt and kimchi. To feed them, you need good prebiotic fiber. Such fiber can be found in chicory root, onion, garlic, oatmeal, wheat bran, asparagus, dandelion greens and Jerusalem artichokes. As a lot of these foods are not really appetizing for most people, supplementing with Performance Lab Prebiotic is a great alternative. Performance Lab has developed a whole supplement range designed to be used with each other. To complement the benefits of Performance Lab Prebiotic, you can stack it with Performance Lab Whole-Food Multi, its flagship multivitamin. Whole-Food Multi is available for men or for women, contains 28 different nutrients in dosages relevant to male or female physiology, and uses a specialist production process called NutriGenesis™. This allows it to create nature-identical vitamins and minerals in the lab, making them more bio-available than many synthetic options on the market. Performance Lab Mind is another product from the range, this time a nootropic or cognitive enhancer. Taking the two together will enhance the work of your healthy gut on your brain and help you stay focused and sharp during the whole day. Likewise, Performance Lab Vision helps protect the health of your eyes by protecting them and energizing them. So, are you ready to take care of your health in a natural and efficient way? We sure are!